Welcome back! Over the break my family and I went to Disneyland. Though it’s not the first time I’ve been there, I can’t help but to be impressed again and again by the design of the park and the architecture within it. Regardless of what you think of the Mouse as a media conglomerate, they know how to do a lot of things right. Lots of photos after the jump. 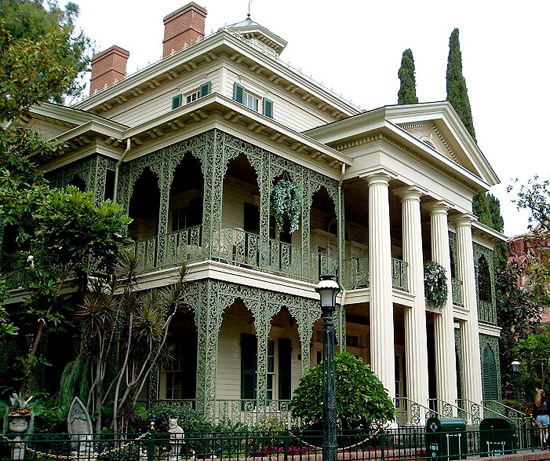 Though it did not debut with Disneyland’s 1955 opening, the Haunted Mansion is is one of the park’s most popular and enduring attractions. 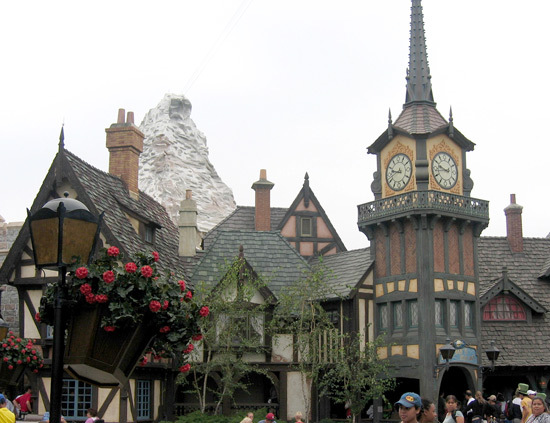 Opened in 1969, it was modeled in the style of an antebellum manor overgrown with weeds and dead trees. It’s changed a bit over the years but beautiful details are still everywhere. 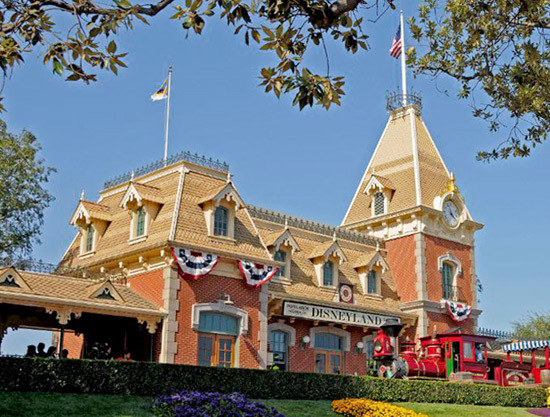 The grounds are landscaped with the darkest of foliage, a pet cemetery and creature statuary. 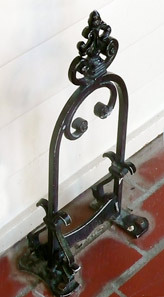 The porch has a functional wrought iron boot scraper. The foyer is decked out in William Morris-style wallpaper, ornate sconces and chandeliers and even the velvet ropes that guide you in are held by lovely sculpted brass bats. No detail is overlooked. 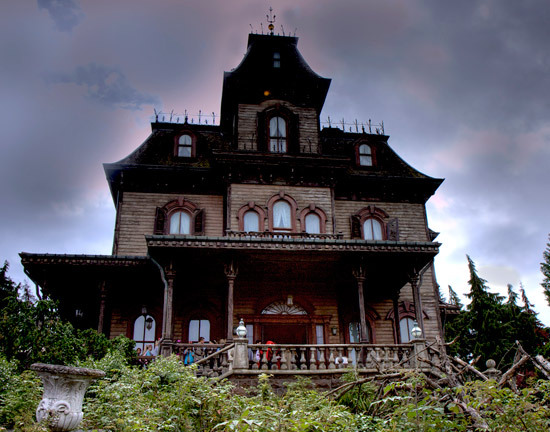 This is Disney Paris’ version of the Haunted Mansion, the Phantom Manor. 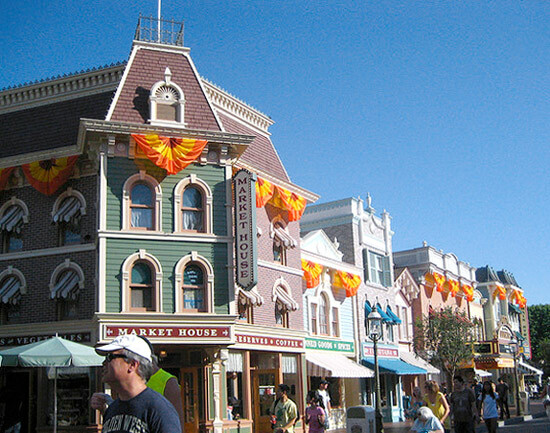 Main Street USA is modeled to look like an idealized Anytown circa 1908. 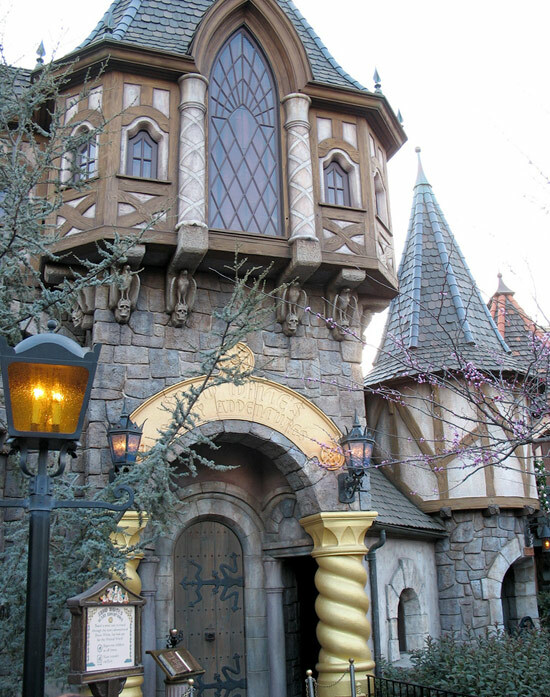 Fantasyland goes from Bavarian to Tudor to straight up Gothic. 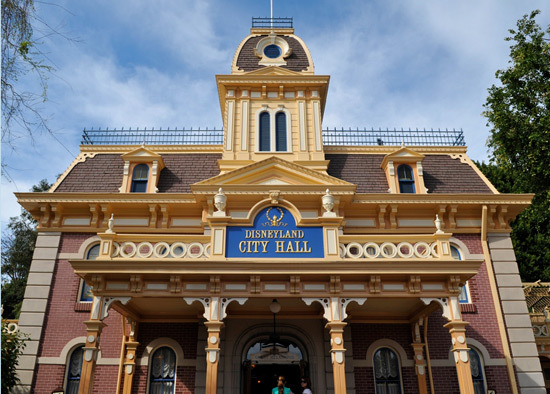 The truly amazing thing is that many of these are functioning buildings, not just facades, and the interiors are just as meticulously detailed.